Please select from the above menu, the shipping way you need. A new window will open: filling out all the fields in it, you will send us your data. You will receive an e-mail confirmation for its correct forwarding and as soon as possible the answer of our offices. 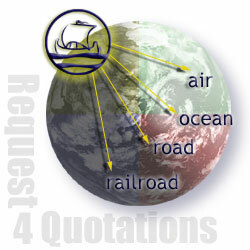 For any other query concerning quotations, please go to the "Contacts" section.